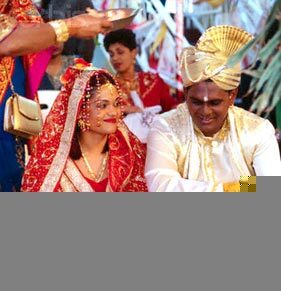 Indian Community Wedding refers to the different wedding rituals and customs followed in different parts of India. The rituals followed as per the tradition of wedding varies with every caste, class and religion, though the basic message of unity and harmony remains the same. All the rituals reflect the message of bonding between two individuals and their families. 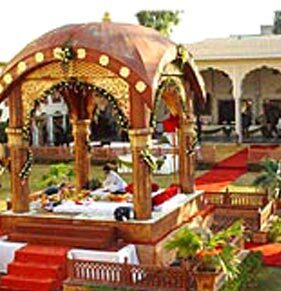 Hindu Wedding and the wedding ritual as per the Vedas form the basis of the Hindu marriage ceremony in India. A priest conducts the marriage ceremony and reads the scriptures. 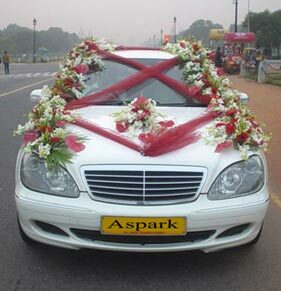 A number of rituals and customs are followed to wish a happy married life to the couple. Varmala, Kanyadaan and Vidaai are the most auspicious of all the rituals followed. 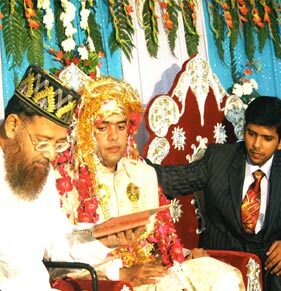 Muslim wedding is often referred to as "Nikaah", where the consent of the bride and the groom is taken who are made to sit separately and a "Kaji" conducts the marriage. Islam does not allow inter-religious, marriages. 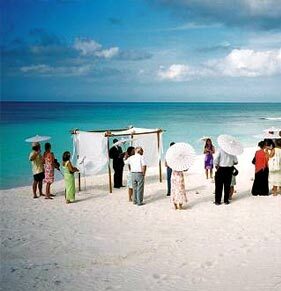 The wedding ceremony can be arranged at the groom's or bride's house. But these days, Muslims in India prefer grandly decorated banquet halls as their marriage venue. 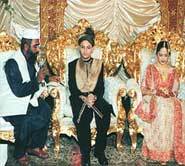 The pre-marriage rituals include Istikhara and Imam-Zamin, Mangni, Manjha and Sanchaq. Arsi Mushaf, salami, Rukhsati, Kheer Chatai, Runumai and Bridal Night are some of the rituals that Indian Muslims observe after marriage. Christian marriage often takes in the church and the priest in presence of the holy mass conduct. It involves the observance of various ceremonies and rituals. However, the rituals vary from a denomination to another. The wedding is declared in all church services before three weeks of the marriage day. The bible is read, the sermons are uttered, vows are taken. After the sermons, the parents of the bride move forward to give their daughter's hand in marriage. Sikh Weddings in India start a week before the wedding day with the different ceremonies and rituals taking place. These ceremonies continue for some time even after the marriage ceremony is over. 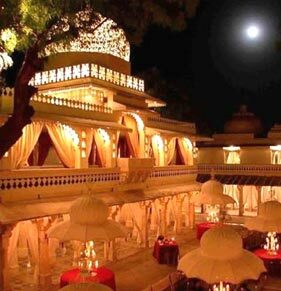 The marriage ceremony is performed in a Gurudwara, the place of worship of the Sikhs. For all weddings there are three important stages, pre-marriage, where the matchmaker brings in the match and on acceptance of both the bride and the groom and their families the wedding takes place on a scheduled date. The wedding ceremony takes place in a span of 2-3 days. The bride and the groom are fed their last meal as a bachelor and then there are rituals where gifts are sent to the bride's place, turmeric is rubbed over the body of the bride and the groom and then on the arrival of the groom at the bride's house, the actual marriage ceremony takes place. 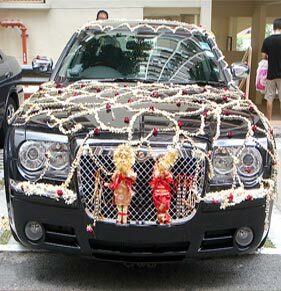 Then there is the post-marriage ceremony, where the bride leaves her parental abode and heads to her husband's home and then she is greeted there by her in-laws and a ceremony is held to congratulate the newly wedded couple and people are invited to bless the couple on this auspicious ceremony.